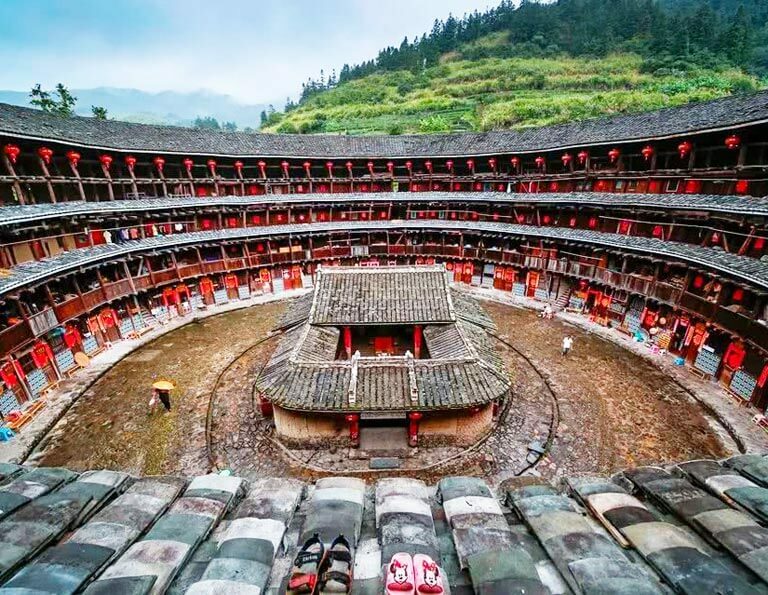 Fujian Tulou (Earthen Building), a Living World Heritage, is not only the cluster of Hakka culture, but also the most extraordinary type of Chinese rural dwellings. 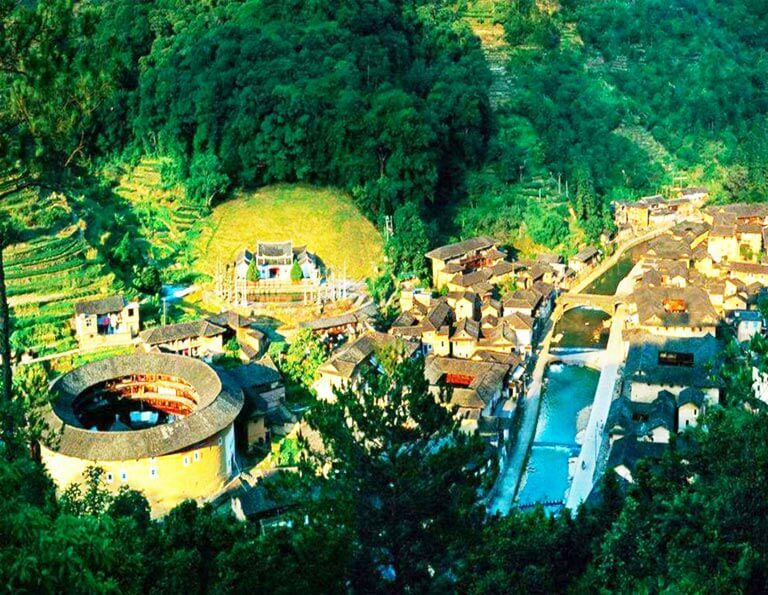 In 2008, a total of 46 Fujian Tulou sites in Nanjing and Yongding County, including Chuxi Tulou Cluster, Tianluokeng Tulou Cluster, Hekeng Tulou Cluster, Gaobei Tulou Cluster etc., have been inscribed by UNESCO as World Heritage Site - exceptional examples of a building tradition and function exemplifying a particular type of communal living and defensive organization, and, in terms of their harmonious relationship with their environment, an outstanding example of human settlement. 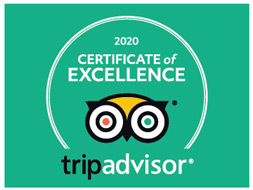 Most travelers extend to Fujian tulou from Xiamen, a popular gateway with many flights and high speed trains connected. 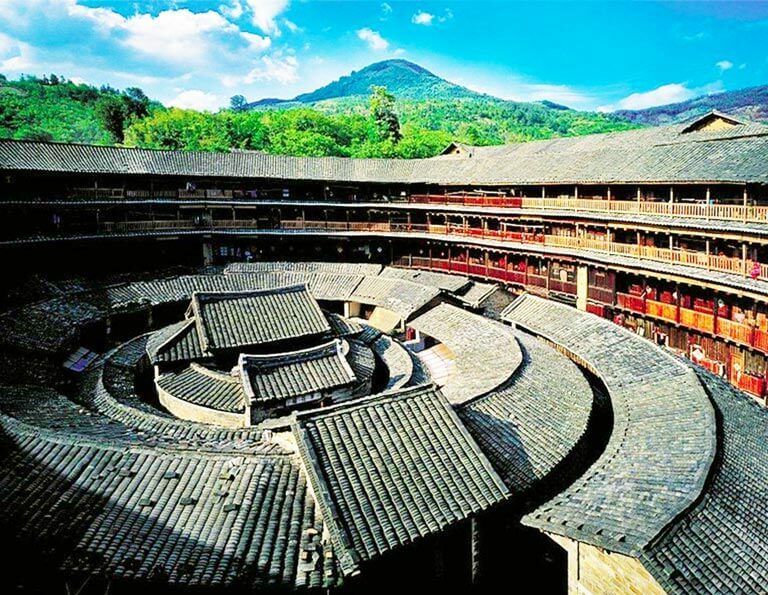 No matter you want to visit Nanjing Tulou or yearn for a visit to Yongding Tulou, and even to combine all, you can have selections among our 2~5 days tours. 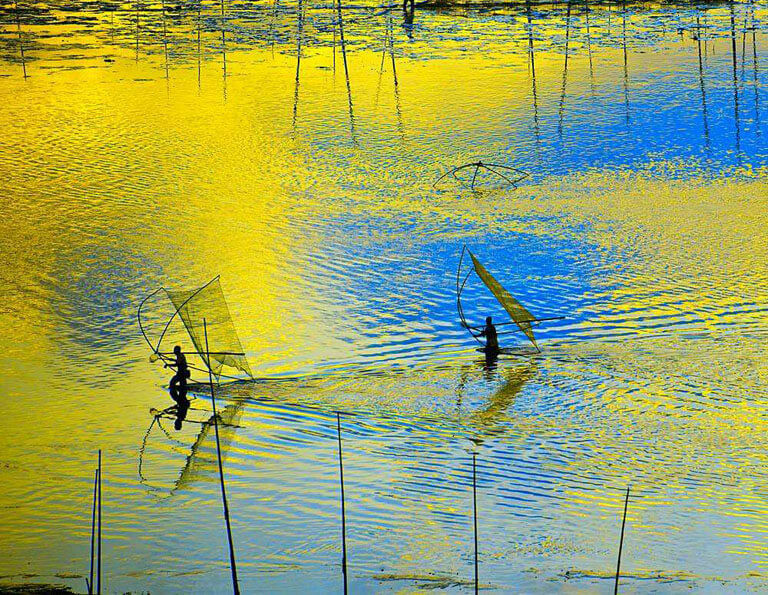 Experience the legendary Hakka culture and immerse yourselves in idyllic rural life with China Discovery now. All are flexible and customizable! 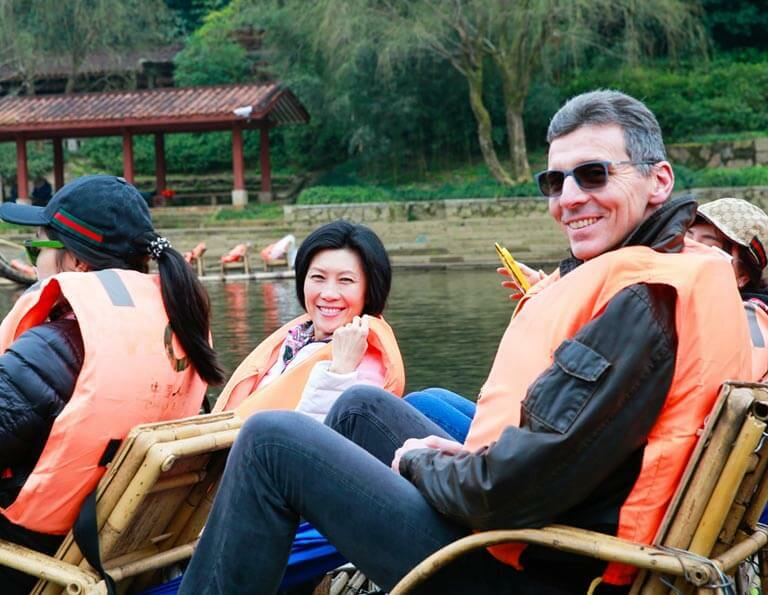 Two-day visit in Nanjing County will be fantastic for you to enjoy the traditional rural life and appreciate the shapes of world cultural heritage earth buildings. 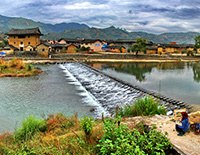 Yongding area is the root of Tulou. 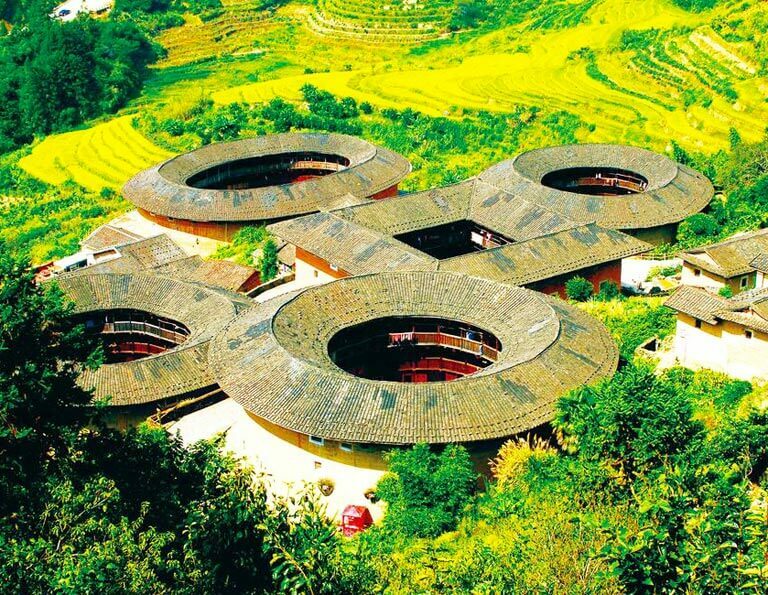 In this amazing tour you will explore the spectacular world heritage Fujian Tulou – Hakka Residential Earthen House based in Yongding. And by walking along the field path in Chuxi Village, you can feel the authentic Hakka rural life more truthfully. 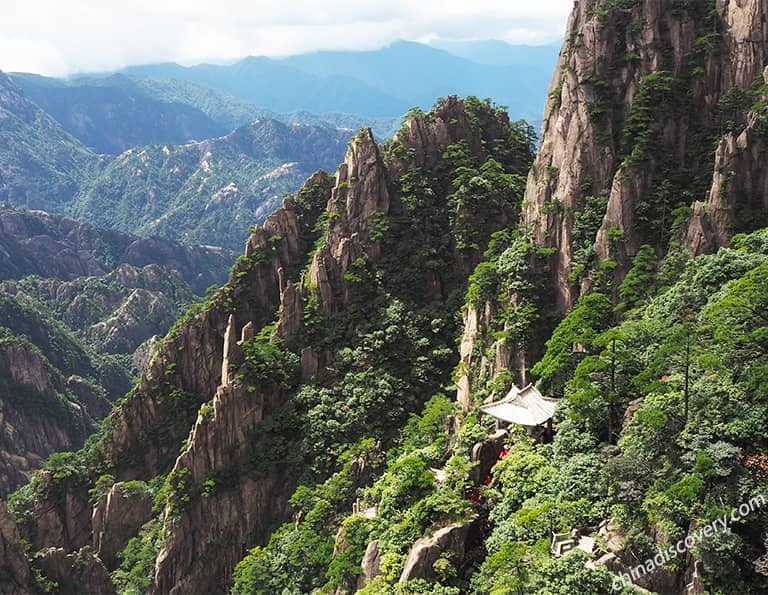 By high speed train to tour Fujian is another way of enjoyment. 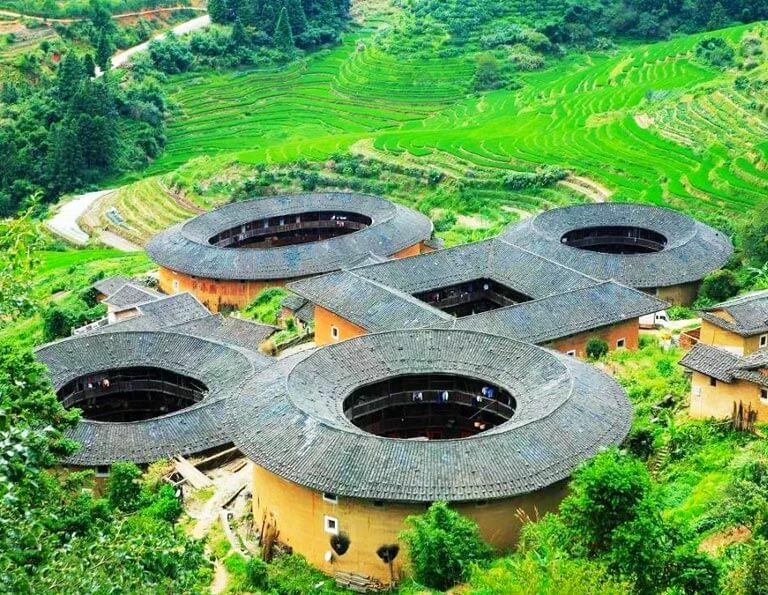 You will witness multiple shapes of Earth Buildings in Nanjing and Yongding Counties, including Chuxi Tulou Cluster, Nanxi Tulou Cluster and Gaobei Cluster. And Peitian Ancient Village – the “Forbidden City” in the south will bring you back to Ming and Qing dynasty which can be dated back to 800 years ago.